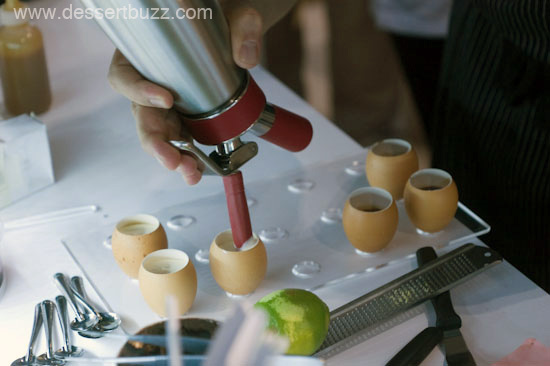 Many of our favorite pastry chefs were in attendance Sunday at the StarChefs International Chefs Congress. 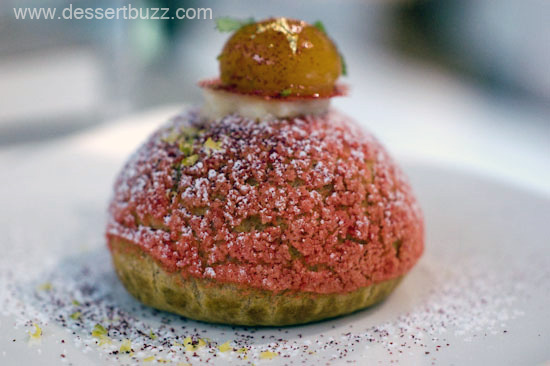 Michael Laiskonis had a “pop-up” pastry restaurant with seatings for six attendees at a time. Each guest received three courses. Proceeds from the pop-up restaurants go to Careers Through Culinary Arts Program (CCAP) an organization that works with underserved schools to prepare students for career opportunities in the restaurant and hospitality industry. This will be outdated information by 1:00p.m. today but congratulations are in oder for the four New York City pastry chefs, all previously featured on DessertBuzz, who made it to the round of 10 in the StarChefs International Chefs Congresss 3rd annual pastry competition: Jennifer Yee (formerly of SHO Shaun Hergatt), Stephen Collucci (Colicchio and Sons), Ashley Brauze (DB Bistro Moderne) and Michal Shelkowitz (Dovetail). No staff of 10+ assistants here--Laiskonis plated everything himself. 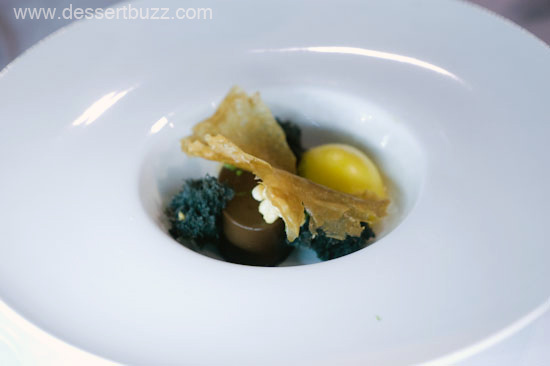 Interestingly, I was told by Laiskonis that you can no longer order the famous “egg” dessert at Le Bernardin. Luckily he still remembered how to make them for the pop-up attendees. 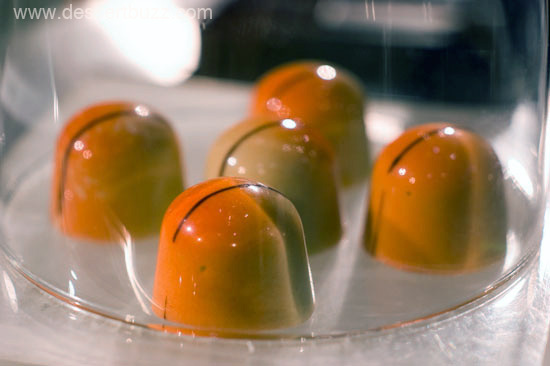 Pastry Chef and instructor at the CIA, Franciso Migoya presented a session called “Innovations in Chocolate”. 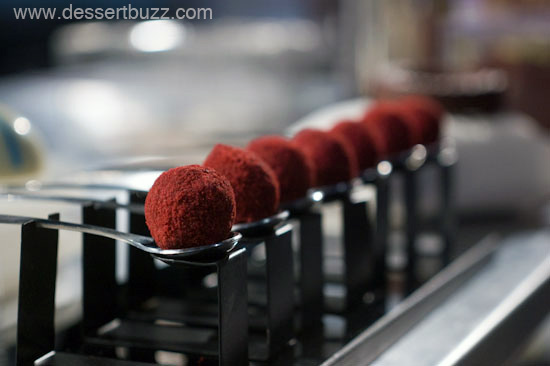 He showed off a number of cool techniques including these red velvet truffles with a molten red velvet center. 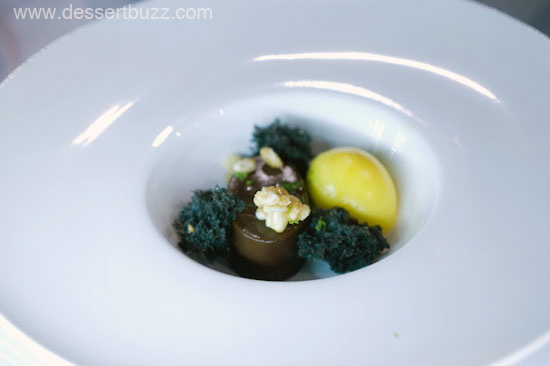 More coverage of Michael Laiskonis on DessertBuzz is here. 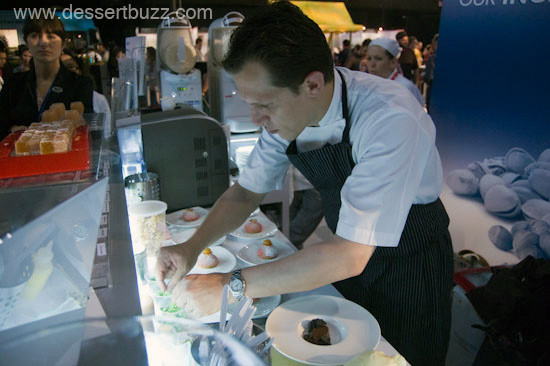 More coverage of Francisco Migoya on DessertBuzz is here. Both chefs were part of “Killed by Dessert“. Follow DessertBuzz on Twitter. Wow the indiviudal chocolates and the Red velvet truffles Pastry Chef Francisco Migoya looks fantastic!! Truly, all things red velvet make for the ultimate treat to enjoy during the week. I would recommend trying the red velvet icecream served at Holey Cream in the city. Thank you for this post, Have a great day! Hi Ashley–thanks for checking in I’ll have to put Holey Cream on the radar! The City Sweet Tooth » Sweet Links of the Week – October 5th! can you tell me where can i by de pregel albumissimo (egg white base)tks for your time.